Our wedding cake toppers are customized, laser engraved and laser cut. Many varieties that can be customized by adding the names of the bride and groom. Additionally, their wedding date can be added to some of the designs. Back in the day, the wedding cake topper was limited to that plastic figurine of the bride groom. That is no longer the case. 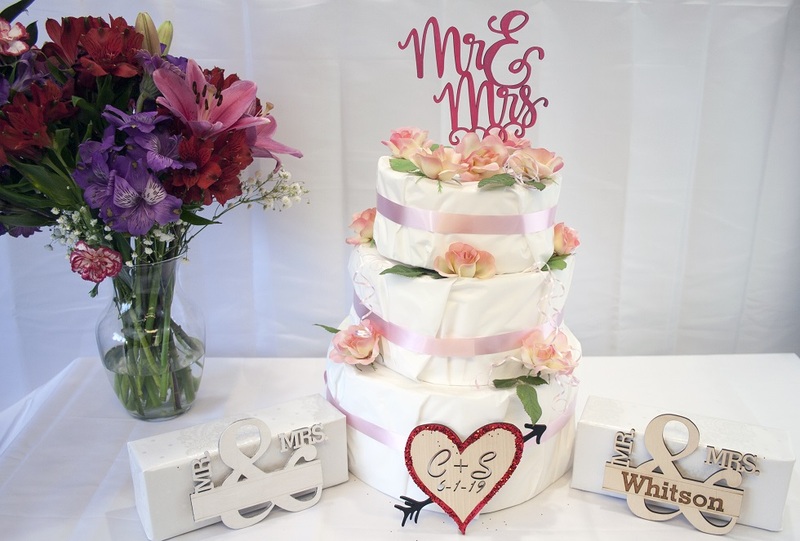 Today, a popular way to decorate the cake is with these personalized wedding cake toppers. The wedding cake toppers can be further personalized with stain, paint, and/or glitter. One can get them for their wedding or give them as the bridal shower gift. They come with a sturdy, food quality stick that goes into the top of the cake. The designs are made from wood and ready to use as the perfect wedding gift.